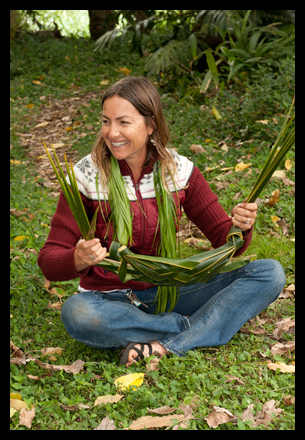 Stacy Domer is the Earth Medicine Institute’s Wild Crafter Certification Coordinator on Maui. A classic self described Herb-Nerd, she is a passionate student of herbal medicine, local weeds, and horticulture. A graduate of the 2012 Wild Crafter Certification class and Master Gardener, Stacy has worked as a landscape/garden designer for 15 years and has a Bachelor’s degree in Environmental Interpretation & Education from Pennsylvania State University. Her other interests include studying plants, paleo nutrition, wild edibles, ocean sports, hiking, growing food, and creating natural body care products.